During the 25 years that I have practiced law spouses who must pay alimony could find some comfort in the IRS code: alimony payments have been tax deductible. The tax law that has been in effect since 1942 allows spouses paying alimony to deduct their payments from their income for tax purposes, while requiring spouses receiving alimony to report their alimony as income. That allowed me to factor in the tax consequences during settlement discussions, and if settlement failed and trial ensued, to argue the tax consequences to the judge. The new tax law does away with the small comfort of being able to deduct alimony payments. Under the new tax law, spouses paying alimony can no longer deduct the payment, and spouses receiving alimony no longer must report it as income. Alimony awards already existing at the end of 2018 will be protected, but those coming into existence in 2019 and beyond will be affected. “Why would our Congress make this 180 degree change?” you may ask. The answer has nothing to do with helping women, nor with making family law less confusing. No, the answer is that it is all about the money: the change is expected to increase revenue to the federal government, plain and simple. 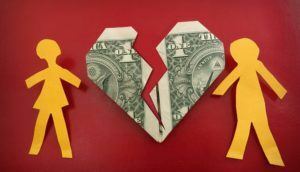 The reasoning is that the payor spouse who previously deducted alimony payments likely is in a higher tax bracket than the spouse receiving alimony. The result is that the same amount of money will be subjected to a higher tax rate, netting the federal government more. The possibility also exists that the alimony payor will be pushed into a still higher tax bracket by eliminating the deduction, further increasing revenue to the federal government.